From the beautiful Waimea Plains come the inspired and innovative wines of the South Island’s oldest family winery, Seifried Estate. 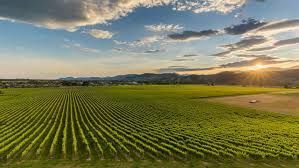 Harvested from Estate grown, ‘Sustainably Accredited’ vineyards, scattered throughout the Nelson region, this is a winery with a focus and passion for beautifully crafted wines. From small beginnings in 1973, when Austrian born Hermann Seifried and his New Zealand wife Agnes, planted their first vineyard in the Nelson region, to today where the Seifried vineyards stretch 240ha, over seven vineyard sights, and the wines can be found in fine wine stores and restaurants in over 20 countries. The passion for great wine has been passed to the next generation too with all three of the Seifried children now home and working in the company. Each brings experience and knowledge gained in other businesses and roles around the world. And most recently, even the youngest family members (the third generation), are also a common sight around the winery getting their hands dirty and seeing what plenty of hard work can bring. Fabulous wines, made with love.